It seems as if normality is slowly returning to the market as trading trends are starting to reflect economic conditions more and more. Today, they announced the employment numbers, and surprisingly it was less than expected. I am not that surprised, as I feel not many people like to terminated their employees during December. However, still realizing the detrimental impact of the number, investors seem to have realized the actual impact of the number, as the Dow traded down again to end the week. I do feel January is going to be devastating for employment numbers. In December, 524,000 we're claimed jobless as the unemployment rate has now shot to 7.2%. I expect this number to be reaching double digits very shortly. As company executives meet this month to do budget revisions and write up their new business plans, you can expect many divisions to be cut out for 2009. Q1 2009 will be extremely tough for the US. Well, with the three days straight of down trading, momentum is definitely bearish. Sure, we have Obama taking over in two weeks, but the sentiment is beginning to get to the point where I think even the ignorant are starting to realize we're in one big mess. For the next six months, we are going to be in uncharted territory for economic data and there is not much the government can do to fix it. They will try, but there are too many cooks in the kitchen with to many messes to clean up at once. This week we also started the bad earnings train. Wal-Mart, Coach, and Chevron started off the new year with disappointing earnings. Wal-Mart is one of my few choices for a decent performing stock and one I'm keeping in the IRA this year. If their struggling, I can't imagine what others are doing. Companies like Nordstrom, Macys, Best Buy, and Bed Bath and Beyond (just to name a few) should see a dramatic decrease in sales. I have liquidated any and all of my retail stocks. I did utilize the last of my monthly free Zecco.com trades (I only get 10!) to pick up some more GDX and more SKF. I still love gold and cannot see how banks are going to get out of the mess they're in anytime soon. Especially now, as we are seeing them start to conform to mortgage restructuring like Citi has done. The motivation has definitely shifted and I expect the panic selling to continue into next week. I am still not ruling out a temporary Obama rally that I am sure is bound to make a couple days green, but I think for the most part, people's hopes of Obama immediately turning this thing around is all but gone. Good week for me and my portfolio. My GDX has done very well for me and SRS and FXP should keep climbing as the turmoil continues (I need them too!). Make sure to check back this weekend as I am going to report on my phone call with Lending Club . He answered a lot of the questions I had and discussed other ways I can maximize my investment with the company. 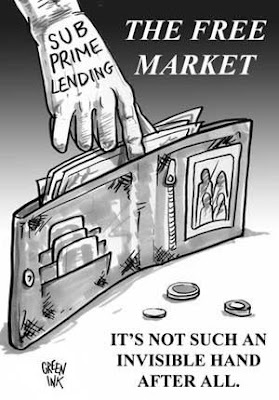 They even have a secondary market for re-selling or buying existing loans for discount. The post will definitely be worth reading. Check them out if you haven't. Have a great weekend and Happy Trading. I am sure that I am not the only person who smells the potential for Ponzi in your lending club. Rather than shill for this you might want to give some intelegent Q and A - or risk discrediting your self with people who read your site. This Lending Club sounds interesting, but I'd like to see you write about the risks. Also, what do you mean by them having a secondary market? Does that mean you can lend for a couple of months, then sell those loans to somebody else? buy and hold will make it in longterm when you ask yourself 1yr or 20yr wait till your stocks goes to $0.00 you be fine LOL. I don't think the doom is near.Everybody keeps complaining all over the news about this and that....It's gotta stop sometime I'll tell you. The bear market is going to continue in my opinion till spring-summer and then , the only way is up.Remember that the market recovers ahead of the economy at least 4-6 months.I'm sure more bad news is coming but at some point in time the measures that all the governments are taking are going to start to kick in. I don't think SRS will hit its former prices this year , even though I wish lots of money to all of you , housing market is going to recover sometime probably this year Q4 or beginning next year , how long do you think it's going to take.It's already been going on for a year. So as I said before I will load up on all the big boys starting this February after the Obama rally and then I'll wait. There prices will never be here for another 10-15 years guys.Look at BAC ,WFC ,CAT and all the big boys.Do you honestly think that one year from now BAC will still be at a lower price than 13-15 what's today? I seriously doubt that very much. Job loss was slightly lower than expected. Even though the difference wasn't that significant, I just wanted to point out that recently, anything better than expected as been taken as good news. Thanks for the clarification. If you would have read back a couple of posts you would see that I am invested in this "ponzi scheme", and also that I have been collecting questions to present to the company for answers. My post this weekend will be the answers to many of the questions I received. Yes, I very much so promote doing your own due dilligence, as I always do, but this site was set up for me to record my investment strategies during this financial crisis. Sure, there is risk involved, just as their are for leveraged etfs. But usually, with risk is where higher returns are. I don't mind rolling the dice a bit. I wouldnt judge a book by its cover though, you should check it out. Yes, you can re-sell your current loan on the secondary market if you wish to get out of it and you get to set the re-sell price. Or you can buy discounted loans. I'll report more on some of the features tomorrow. Thanks for the info, I appreciate your contribution. I agree that wall street will be 4-6 months ahead of the economy turning around, but no one knows when that will be. The problem is lately, our so called recessions have been more of a retracting economy that has lasted a few months to a year. Where we are headed is uncharted territory. Some of the old dogs don't see this turning around until 2011. I am a believer of at least mid 2010(maybe a bit earlier for wall street), but in my opinion this year will be a horrific year, because of the negative earnings and huge debt coming due from commercial conduit loans. just my opinion. Thanks for your sharing, good points. S, iam sorry you that way friend. kill himaself jumping front of a trian and guess what he did not have funds with madeoff funds he only trying find bottom in banks and housing stocks. my heart feels bad. this only be start this. I love myself more than money so that i indea never would enter my mind. any S be very careful trying pick bottoms in banks. also see solar and green,some Oil stocks, china stocks, COF SPG VNO BBT MTB to be next blowups. Roosevelt Field Mall is the largest shopping mall in the state of New York and eighth in the country as measured by gross leaseable area at 2,189,941 sq ft. (203,452 m²). The Mall is located in East Garden City, New York, an unincorporated area of the Town of Hempstead, just to the east of the Village of Garden City on Long Island. The office buildings, on the west side of the mall property, are located in the Village of Garden City. The anchors of the 270 store mall are: Bloomingdale's, JCPenney, Macy's and Nordstrom. Previous anchor stores were Gimbel's (succeeded by Stern's) A&S, and Alexander's (succeeded by Bloomingdale's). The original anchor stores were Macy's and Gimbel's. The specialty stores cover a wide range of genre and include: Coach, Betsey Johnson, Free People, Abercrombie & Fitch, Wild Pair, Hot Topic and Sephora. Other stores include the Disney Store, Brookstone, & FYE. In addition to the food court, located on the second floor, there are several high-scale/sit-down restaurants located on the premises, including Houston's, Legal Sea Foods, The Grand Lux Cafe, Akbar Restaurant, Gasho Japan, The Panino Cafe and Ruth's Chris Steakhouse. I'm trying really hard to understand what you're saying , please try and post so that some of us can understand cause I think you have great things to say. Don't compare BAC with LHM&/or WAMUQ.They have the biggest deposits in the US , although probably not that many at this point :). You know what I base my opinions on? Look at the auto sales.Toyota Prius was a hot item just 2-3 months ago , you couldn't touch one without a 500-1000 deposit and a 6 month waiting list , not to mention that you couldn't pick the color once the car was there. Now nobody likes them anymore and the truck sales have gone up. I base my opinions on human weaknesses.They will jump back on credits like flies as soon as the credit market unfreezes. I live in Vegas and I see ppl on the street with beers in their hands and having a good time.I'm not saying that's wrong but they just can't stop spending , and living their lives , like FF said , not on real money but on debt money. Americans will spend a lot of money again , probably even more than before but like you all say , who knows when. I'm not trying to pick a bottom for BAC , I'm too stupid and too uneducated to know when that will be.What I know is that I have been buying since 19.50 and if it hits 7-8 I will still buy more and just wait.My time will come. I don't know if this year or next year , but it will come. I think BAC , if it makes it out , will be in the top 3 banks in the world. I don't use all of money however on BAC ,I always keep half in cash , other stocks etc.As soon as I make a profit in some other stock (AVZA,FXP,DELL,MSFT etc) I buy BAC. If I loose , I lost half of my money , that's ok , every hard-core trader says that you're not a man enough :) until you have lost enough.Maybe I'll loose , I can make it back up in 2-3 years but if I win ,I'm closer to retirement with 5-10 years so I think it's worth the risk. I agree the risks are high but I think the gains are higher than the risk , and I'll tell you some other thing , if BAC fails we are really deep trouble but IMHO I don't think it will be that bad.End of the world and all that crap. Like I always say ppl gotta eat , drink & watch TV.They will buy again. Speaking of which I was at a Costco store this morning , packed of ppl.Full!!! I grabbed my wife and my son and we got out because the lines were like before Thanksgiving. Maybe I should buy Costco :). Good luck to all of you guys , even shorters :). Look on google for BAC , I'm up 100% at 25$. And you guys were making fun of me , lol. It seems to be a glitch , GS is down 60%.